Xiaomi and Intel publish in the network teasers, which claim that soon, on August 3rd, they will show a new iron monster, which will use processors and SSD of one of the companies. Probably, corporations collaborated to release a new gaming laptop, or to update Xiaomi Mi Gaming. We are literally promised that we will be shown the gaming "monster". It should be reminded that the company released Mi Gaming Laptop at the end of March. Not so long ago, actually. It used Intel 7th generation processors, as well as GTX1050/GTX1060 Ti graphics cards. Probably, the new laptop will be released on Intel 8 generation processors. There is no information about the device, so we will know all the details on August 3. Tesla has created a limited collection of surfboards. The cost of one copy – 1.5 thousand dollars. Despite this price, all 200 boards were sold out within a few hours after the start of sales. The Board was developed in cooperation with Matt Mayhem Biolos and Lost Surfboards, specializing in the production of surf products. The company noted that to create a red and blackboard they used the same coating as the car Tesla. According to the description, these boards are easy to transport in a Tesla Model S, X and 3. Each is created under the order for 2-10 weeks. China has the first hotel in the world without staff. At the reception of the institution, instead of the hostess, a robot meets customers, reports the Economic Times. The hotel opened in Chengdu. The robot working in the institution uses a facial recognition system to meet customers. It also helps visitors to check in and accompanies them to their room. Robots also order food and carry things to the guests in the laundry – for this, they are connected to a special mobile application. However, in the case of unusual situations, the hotel still provides a system of communication with people. It is worth noting that all the rooms in the hotel were instantly sold out and before the end of this year there are no available rooms. However, by 2019 it is planned to open 50 more such hotels. The first hotel where robots worked was opened in Japan in 2016. However, 10 people continued to work in it. Google and Lenovo showed the first smart display created to work with Google Assistant. The device was first presented at the exhibition CES 2018. Now it goes on sale. Price starts from $199.99. 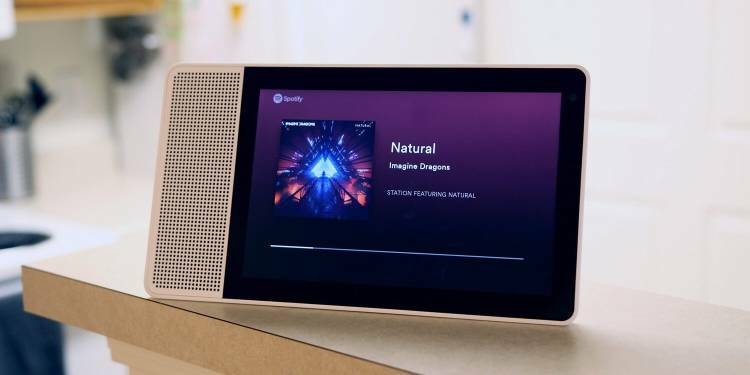 The smart display, which is named Lenovo Smart Display, is a replacement for Google Home. It can execute commands after the phrase "OK Google". With voice, you can control smart home devices, music playback, and search queries. From Google Home, Lenovo Smart Display differs by an opportunity to play videos from YouTube, YouTube TV, HBO Now, Google Play Movies and other services. Together with the device, customers will receive a few months of subscription to YouTube Premium. Lenovo Smart Display is designed for the kitchen. You can display the recipe of a dish and watch videos during cooking or its absorption. It turns out that a smart display is something like a tablet that always stands in one place. This model runs on the platform Qualcomm Home Hub with Snapdragon 624 processor. It is equipped with Wi-FI, Bluetooth and 10-watt speaker. The device will be available in two variations. A smart display with the 8-inch screen and HD resolution cost $199.99. The model with a 10-inch screen and FullHD resolution cost $249.99. Chinese company Huawei, the third largest smartphone manufacturer in the world, plans to release the world's first flexible folding smartphone, ahead of Samsung, according to Mashable, referring to the resource Nikkei Asian Review. The first flexible foldable Huawei phone can be released in early 2019. The flexibility of the smartphone will provide a special bending OLED-display, developed by the Chinese technological group BOE. Despite the fact that the screen technology of BOE will be inferior to Samsung, this does not seem to stop Huawei - they intend to become innovators in the technology of flexible smartphones, ahead of Samsung. According to the Wall Street Journal report on Samsung's plans to build its folding smartphone, which is expected to be released in 2019, the Huawei Flex phone can only be released in a limited edition of up to 30,000 units. A limited number of planned models indicate that Huawei is not keen to displace flagship Android smartphones. 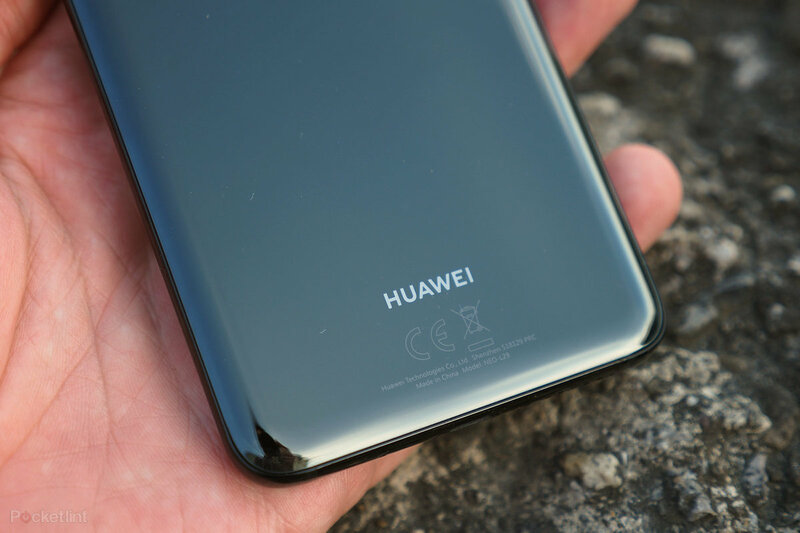 Most likely the company hopes that in the wake of the popularity of Huawei they will take over the first users aimed at purchasing a folding phone. This week Tommy Hilfiger presented a new line of clothes with built-in trackers. It's not about smart clothes, which will monitor your activity and inform notifications. Tommy Hilfiger's "smart chip" technology keeps track of how often you wear an item of clothing and where. "Smart chips" are used for loyalty programs. The brand has created an application for iOS, which is somewhat similar to the game Pokemon Go. Owners of the new range of clothes Tommy Jeans XPLORE can earn rewards for visiting certain places in clothes. To do this, the "smart chip" must be connected to the smartphone via Bluetooth. The company said that their customers will be able to exchange earned points for gift cards, special goods and tickets for events. Today the range of Tommy Jeans XPLORE includes women's and men's hoodies for $99, jeans for $99, shirts for $39 and belt bags for $89,50. The company expects to set a new trend and believes that other brands can do something similar in the future. Recently, more and more people are thinking about their reluctance to eat animal meat. This has spawned popular startups that grow meat in labs from animal cells. Ryan Betencourt went on. His company grows meat for pets. It all started with the fact that the vegetarian Ryan Betencourt decided that he would not give his dog something that he would not eat himself. We know that dogs and cats are predatory animals. They like other animals' meat. Ryan Betencourt can't give it to his dog. For this reason, he decided to establish a startup Wild Earth, which is engaged in the creation of food for pets. The Wild Earth laboratory is engaged in the cultivation of meat of mice. Ryan Betencourt believes that it is great for pets. He's not the only one who thinks so. Technology tycoon Peter Thiel has already announced his desire to invest in a startup just under half a million dollars. Very soon, pets of vegans will be able to adopt the lifestyle of their owners. There's only one problem with all this. Companies that are engaged in the cultivation of meat cows and chickens are extremely unhappy with the appearance on the market of Ryan Betencourt and his Wild Earth. They believe that it will scare away potential buyers of "laboratory meat" for people. Consumers can start to associate all the meat from the lab with pet food. The American branch of Samsung Display has developed a new screen module for smartphones, showing an amazing level of strength. The development has passed a series of resource tests and meets all the standards of the US Department of Defense. Samsung calls the new module "indestructible". But is it really that good? The module consists of a flexible OLED screen and a plastic substrate, which makes it much stronger than the combination of glass and OLED panel, which is now used in many devices. Despite the fact that Samsung has developed a new module especially for smartphones, the company is also considering its use in other electronic devices (including the dashboards of cars and even military gadgets). Test the new module on the strength was carried out by the specialists of the company Underwriters Laboratories (UL), dealing with issues of standardization and certification in the field of safety. As part of the drop test, the module was dropped 26 times from a 1.2-meter height. No damage was recorded. The drop and 1.8-meter height tests and various temperature tests have been successfully completed. Such results mean that the module is fully compliant with the military standards that UL uses. Samsung Display has published a video that shows how the module without any problems carries a few pretty serious hammer blows (we would not recommend to test it for strength in this way in real conditions). The company notes that despite its strength, the new display is as light as the screens using glass as a protective shell. At the same time, the new module on readability is not worse than the last. The advantages of using a heavy-duty plastic panel instead of glass are obvious. Even more obvious they become when the device falls on a hard floor and a headache from the realization of how much will have to pay for the repair of the glass device. Information about when the new display module will go into mass production Samsung Display is not reported. It is possible that the new module will become part of the future line of smartphones Galaxy S10 or the mysterious device Galaxy X, rumored – flexible smartphone Samsung. The use of artificial intelligence for military needs has been the subject of heated debate for years. It was thought about IT in the US military. Since 2016, a specially created commission has been considering this issue, but now the military has moved from words to deeds, creating a joint artificial intelligence Center, which will be the main link in the creation of a powerful military AI. At the moment the U.S. Department of defence has only applied to the U.S. Congress to finance the AI Center. The required amount is 1.7 billion US dollars, and the implementation of projects is planned for the next 6 years. Despite the optimism of the military Department, many people (including those involved in the development of AI) do not share such views. As a counterargument, experts say that the machine should not decide to kill a person or not. Creation of a system for the functioning of artificial intelligence, covering all the Ministry of defence. In other words, the establishment of infrastructure for the introduction of AI. Improvement of cooperation on AI projects "both inside and outside the Agency". This implies cooperation with both US allies and private companies and scientists leading developments in the field of AI. Introduction of standardized methods of AI development, the creation of ways to control artificial intelligence and, finally, the introduction of AI into operation.